As I’m sure you’ve already guessed, I love cake and I eat buttercream frosting with a spoon. 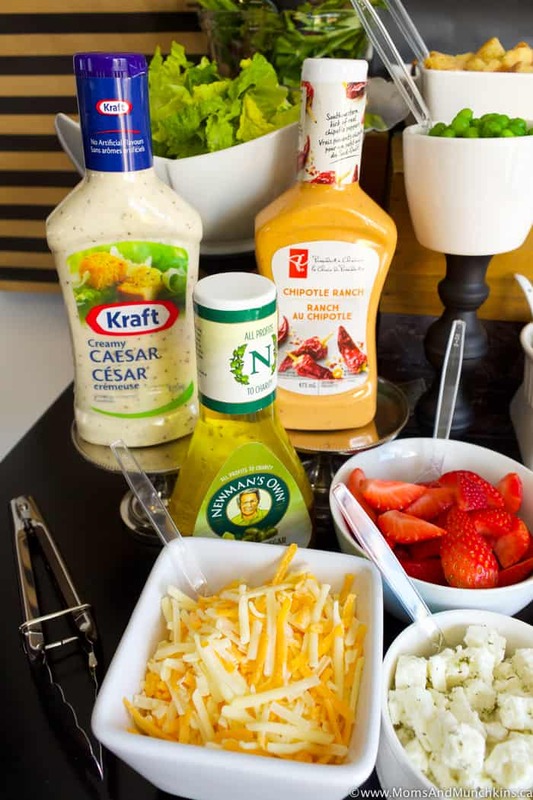 With all the dessert recipes I share here on Moms & Munchkins, there is a lot of taste testing that goes on at home. 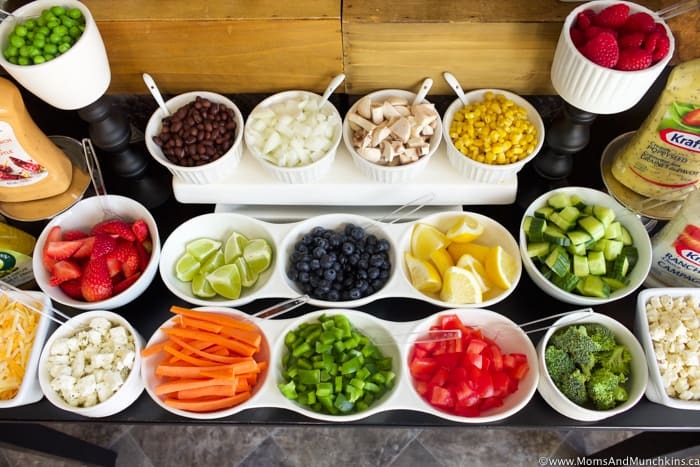 I try to balance that out with some healthy fruits and vegetables (some days are easier than others – ha!). 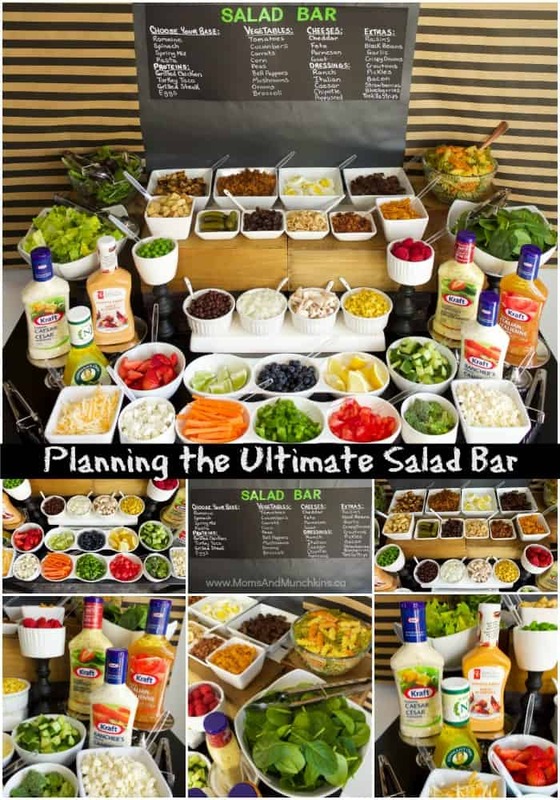 If you’re looking for a healthy buffet idea for your next party, check out my Ultimate Salad Bar article in Pink Magazine. 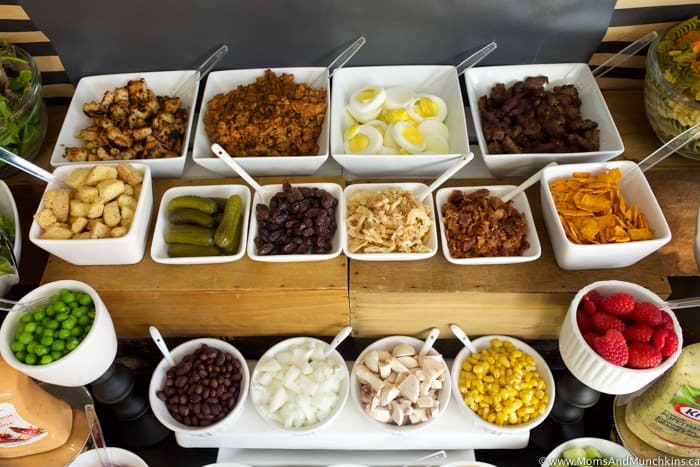 You’ll find full details there on foods to serve, toppings, ways to serve it while keeping the foods fresh, and more. 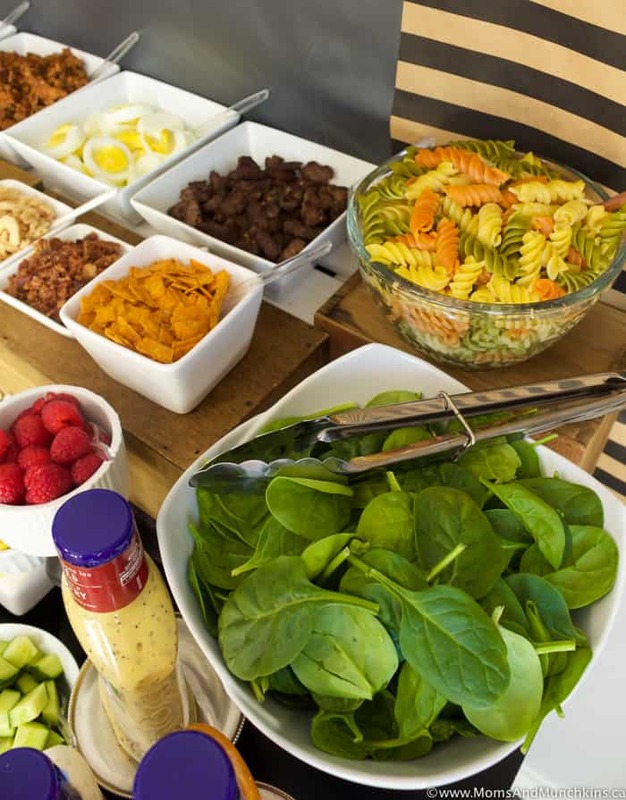 As an added bonus, I’m sure you’ll earn yourself TWO pieces of cake after washing and cutting up all these fresh fruits and vegetables! 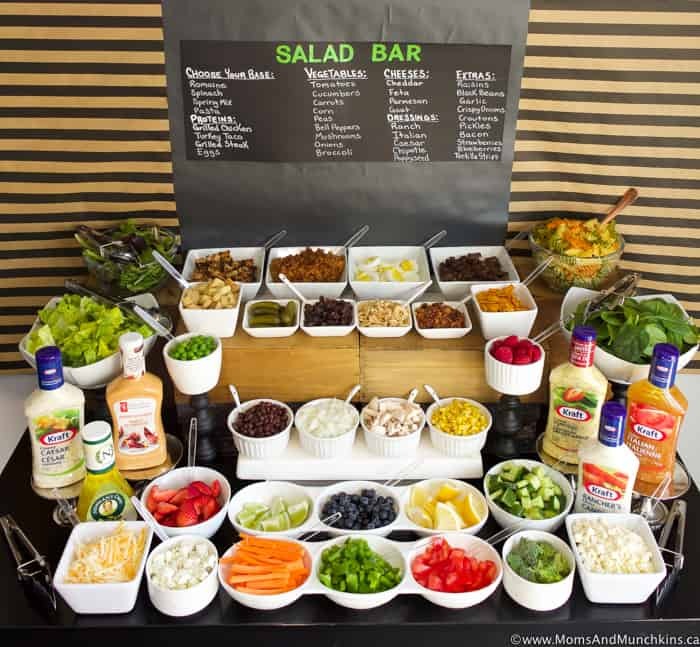 You can view my full written article in Pink Magazine but I’ll share all the party photos with you here to help you brainstorm ideas for your own Ultimate Salad Bar. 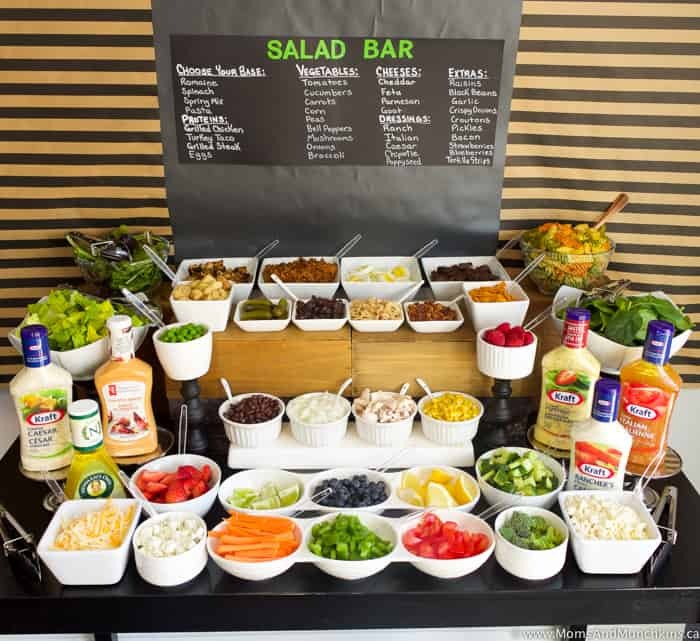 There are plenty of options here to satisfy all guests. 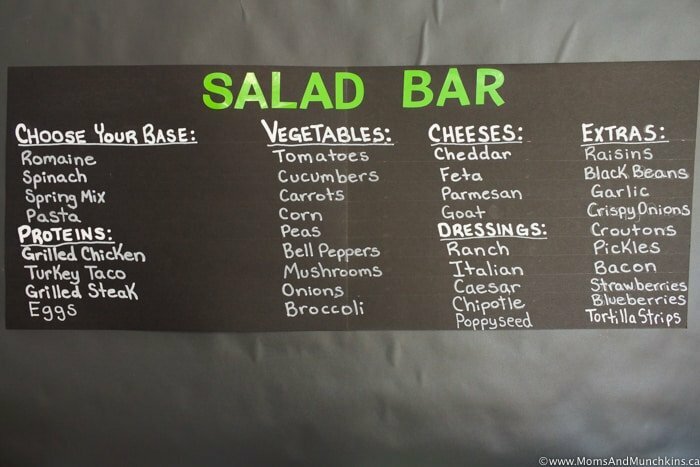 You could even include a few recipe suggestions with silly names to match your party theme. 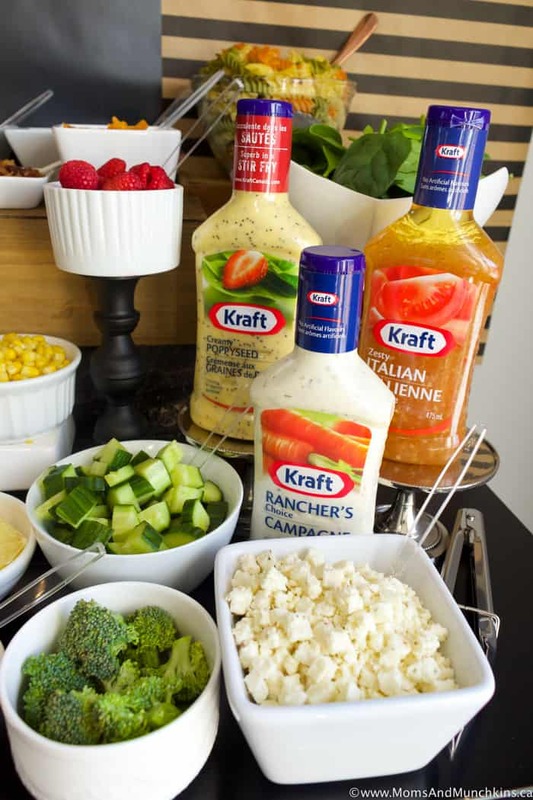 Like for a baby shower, you could have a recipe suggestion for “Baby Corn & Sweet Pea Salad” with items like baby corns, peas, Babybel cheese, a sour cream dressing and other vegetable mix-ins. 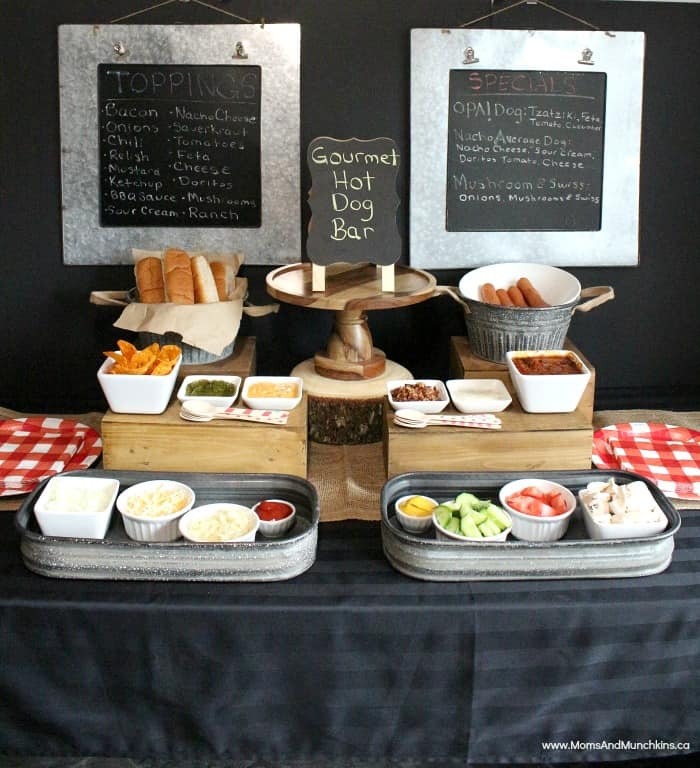 Hot Dog Bar – great for a summer BBQ party! 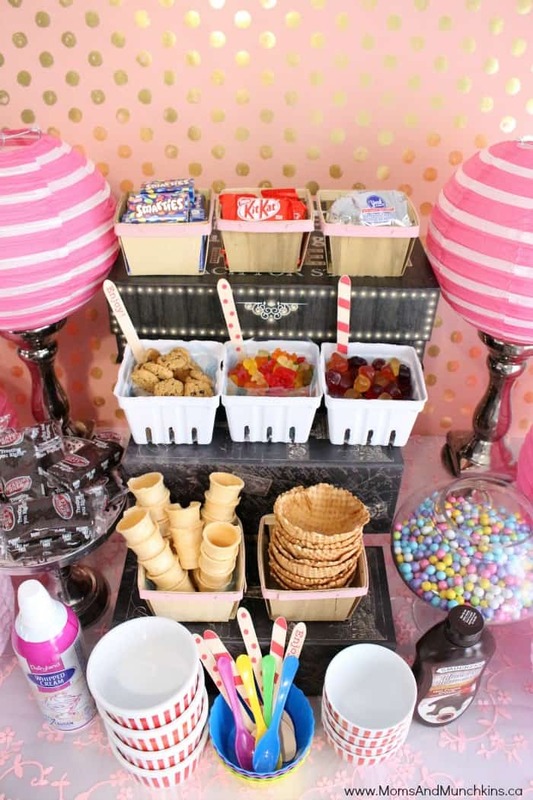 Ice Cream Buffet – who wouldn’t want ice cream, right?! 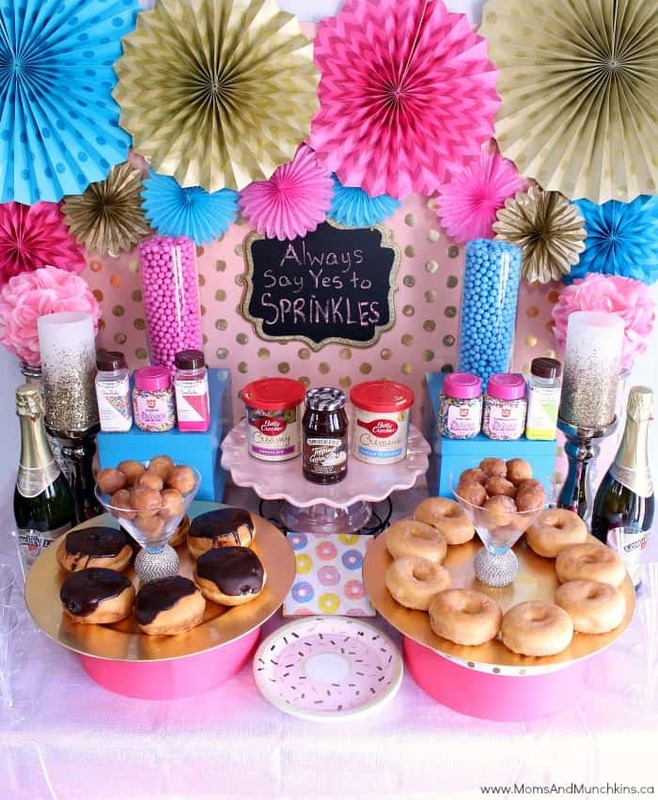 Donut Buffet – great for a dessert bar or a special slumber party breakfast! 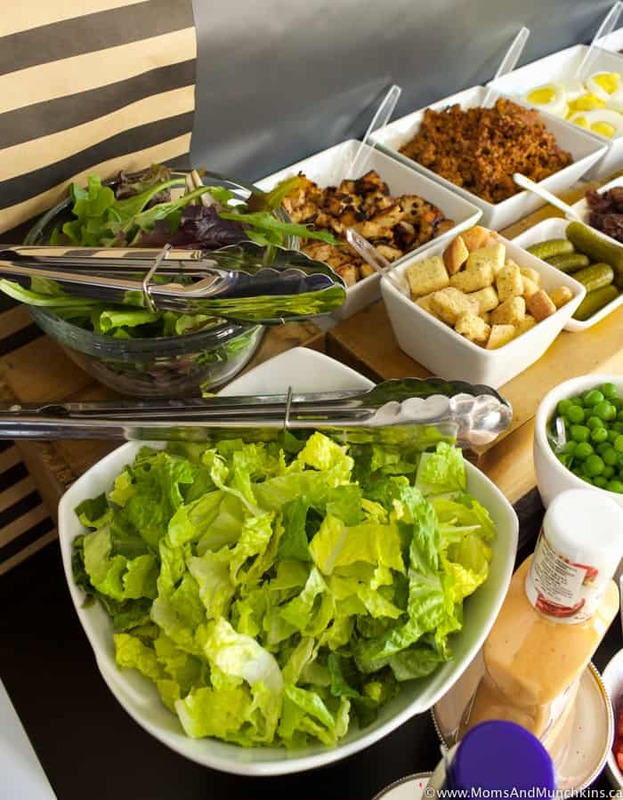 Stay updated on the latest ideas for home entertaining by following us on Facebook, Twitter, Pinterest and Instagram.